In 2006, Oakland Children's Hospital saved my son's life. He was 3 days old when he arrived, via helicopter, to the hospital. I was overjoyed to live near quality medical care- and then was blessed by an outpouring of support from people that didn't even know us. Those 10 days in the NICU were terrifying. I received cards from local school children who didn't even know us. That kindness gave me strength to get through days that I didn't think I was strong enough to withstand. This afghan drive is my way of repaying the emotional debt I owe to the hospital and God for bringing my son to perfect health. Every year, shortly after Thanksgiving, I deliver afghans, hats, booties, funeral gowns, etc. to the NICU. To date, we have brought 1,429 afghans tot he hospital! The first items received are passed out by Santa on Christmas day. Anything remaining after that is used by the nurses and chaplain as needed. The NICU cares for aproximately 400 children a year. 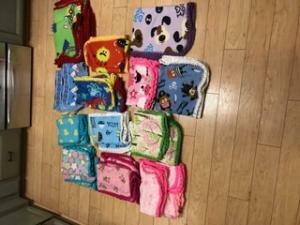 I would love to make a delivery so that every child in a year was able to receive something. The NICU cares for babies from micro-preemie (think the size of a chunky Barbie doll) to a one year old child (think regular one year old size). 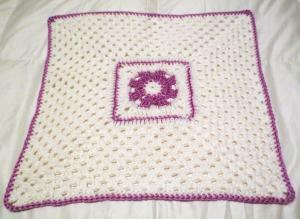 Therefore, literally, ANY size afghan you feel compelled to make will find a baby that will love it. For preemie's, the yarn should be light weight and the pattern should be free from holes that will tangle in monitor wires. If you'd rather make something for an older chlld, I can take that too. The hospital cares for kids up to 18 years old. Thank you for thinking about the babies. Their parent's will never forget your generosity at a time they needed it most. I'm in again for 2017!! 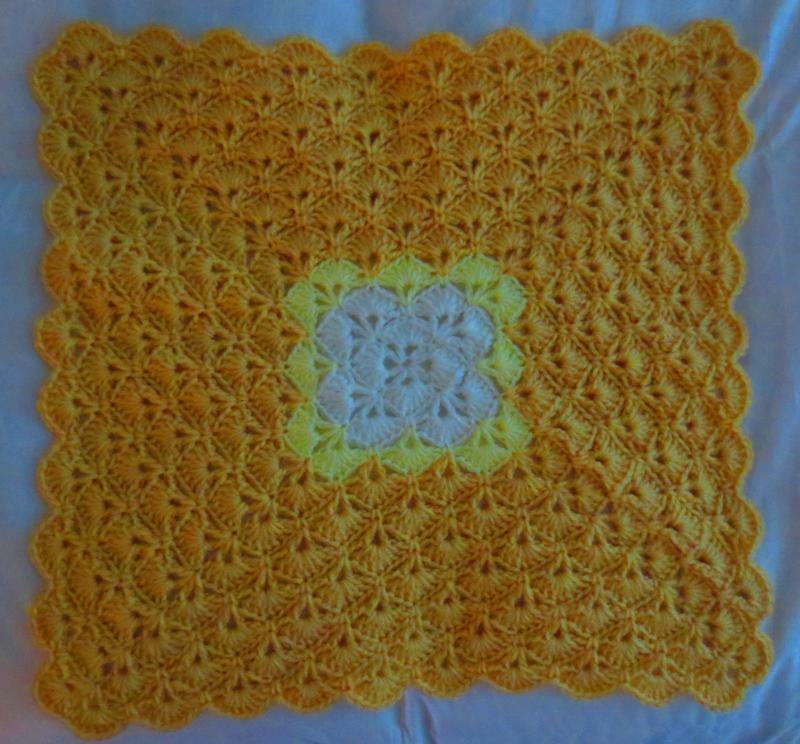 I got almost no crocheting done last year as I learned to navigate the loss of my Dad. I told myself I'd work on crocheting this year. I've been home ill the last few days and last night felt well enough to pick up my hook. 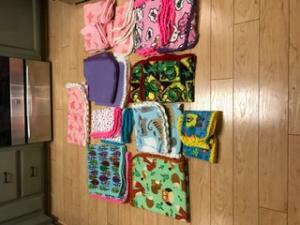 I'm getting ready to finish my 6th crocheted fleece blanket tonight. The year is off to a much better start! I am almost finished with the first round ripple in shades of pink. Then I have yarn ready for a blue RR. I hope to finish the pink in a day or two. I love RR's... they are my go-to pattern when I'm not edging fleece. I just finished crocheting my first baby blanket for this drive. 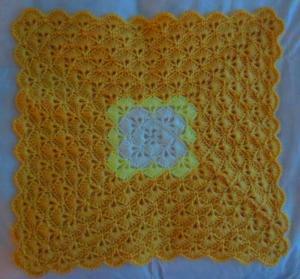 I used the Margaret Square for the center and added granny stitching to finish it off. It is 18 inches wide for a preemie baby blanket as I was using up some scrap yarns. 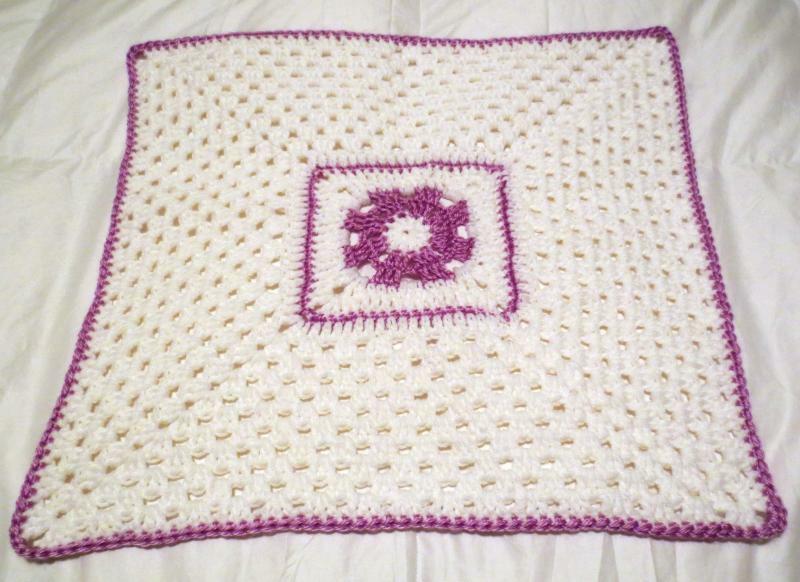 I hope to do more blankets soon but wanted to share my first FO. I got 26 blankets done in February. They range in size from micro-preemie to big enough to wrap a chubby 1-year old in. I just finished up this baby shell preemie blanket for the drive today. 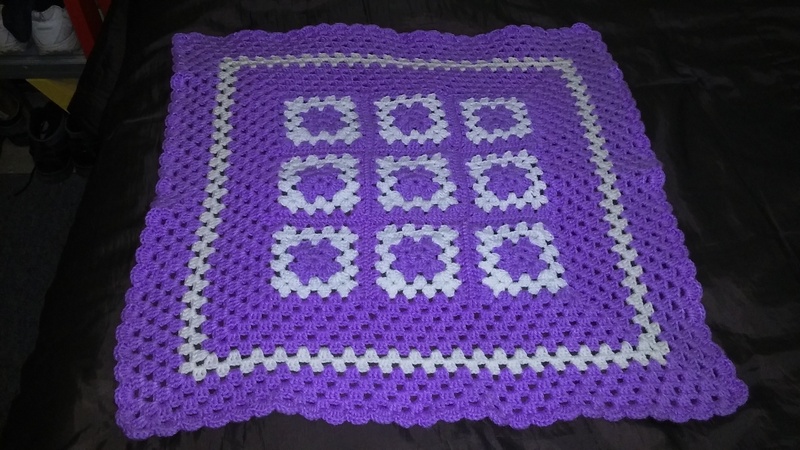 It is 18 inches wide and I will be sending it off hopefully tomorrow with one other little blanket I completed for this year's blanket drive. I mailed these and a couple of others last week while the 'ville was down. It just arrived when the ville was down too! Thank you so much! It arrived Cindy! Thank you so much! Mailed you a few more yesterday. Thank you - I'll be on vacation for a week starting tomorrow. I'll be getting mail delivered on the 3rd of July. So, I should have it then. 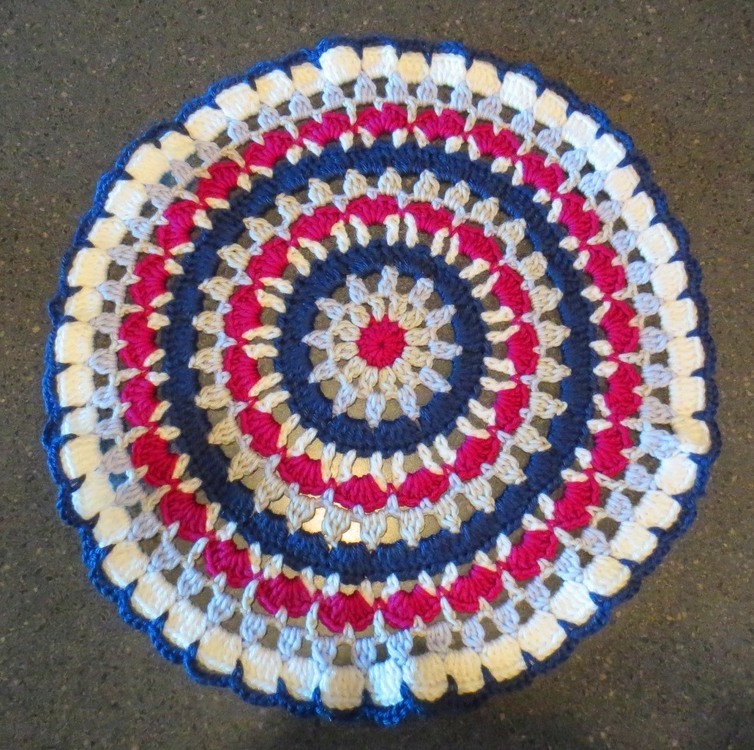 I just finished up this Mandala pattern that I have been wanting to crochet for quite awhile. 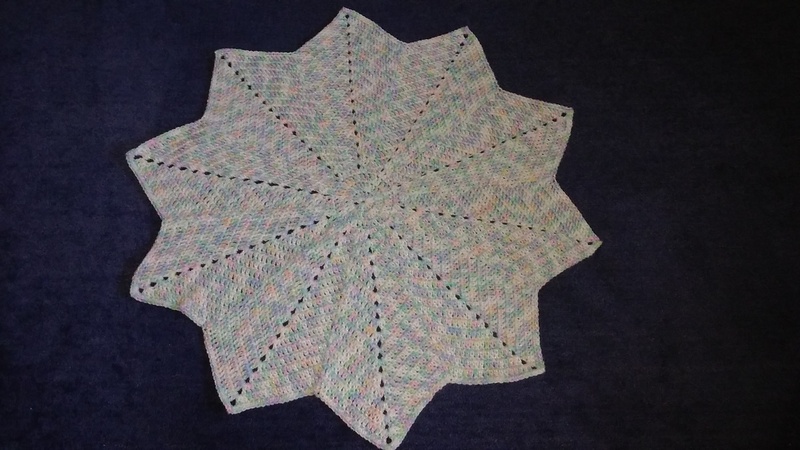 I crocheted the pattern with a H hook and it ended up being 17 inches wide. Hopefully it will be okay for a preemie baby blanket. BGS and Cindy - your packages arrived. Thank you! Good to hear. Thanks for letting us know.